If you are looking for a Hyundai dealer in Smyrna, GA come to Ed Voyles Hyundai. Buying a new or used Hyundai is easy, with a full line-up of Hyundai models to choose from. Ed Voyles Hyundai has an great selection of new and certified used Hyundai cars and SUVs in stock at our dealership in Smyrna. Ask us about our financing and leasing options designed to help you buy or lease a new Hyundai at our dealership near Smyrna. 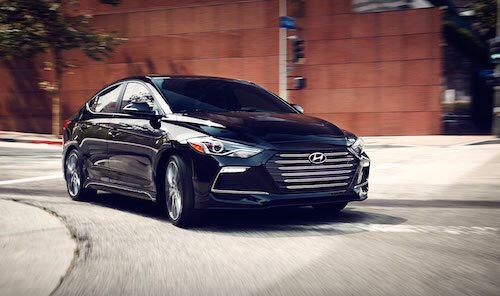 Hyundai dealer incentive deals and manufacturer special offers are frequently available at Ed Voyles Hyundai. Affordable financing options are also available for for Used Cars, Used SUVs, Used Trucks and pre-owned Hyundai models. When it is time for Hyundai Service our fully equipped auto service center and parts department is on standby to help with oil changes, brakes, tires, Hyundai parts accessories and more. Auto service coupons and special offers are usually availble for additional savings on Hyundai maintenance. Stop by our Smyrna Hyundai dealership and we will take excellent care of you and your Hyundai.